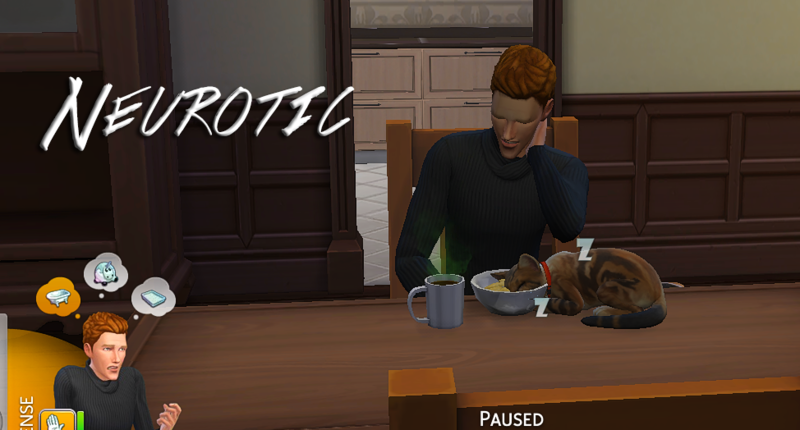 I really missed the Neurotic Trait in Sims 3. So I created one and I'm quite satisfied with the results. 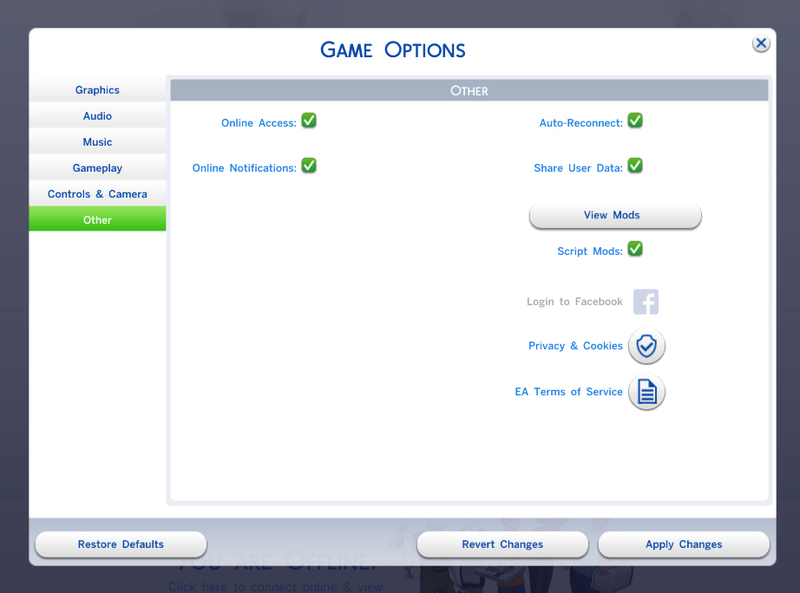 It's not an exact copy of Sims 3 Neurotic trait because I could not copy the "Freak Out" reaction. So it ended up taking a life of its own. Though this trait is a fully working trait and has various "buffs" and triggers. 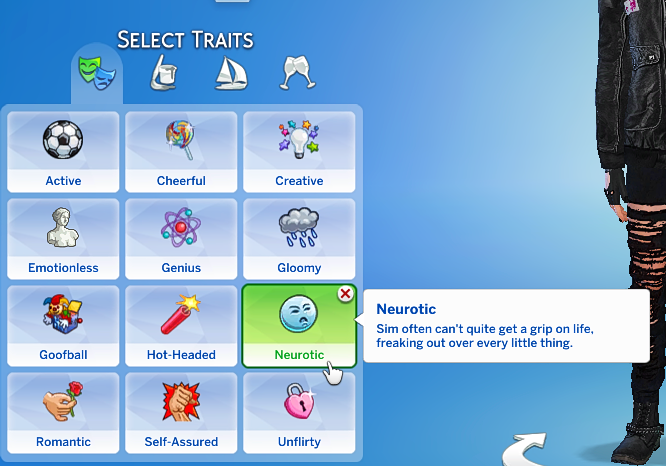 The Neurotic Trait, features people with various "Buffs" and "Debuffs" just like in real life certain actions can stress out your sim and trigger a debuff and or a counter-buff. 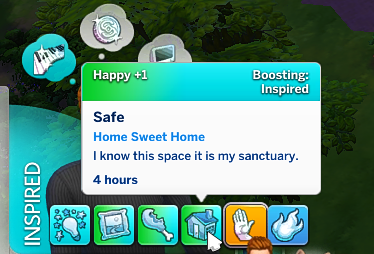 Since your sims are going to be getting stressed out a little more often. I've added a bit of perks. Your Energy Decay 1.5 and Social Decay .5 slightly at a slower rate. Friendship Increase 1.15 and Romance .75 increase at a slightly faster rate. I know these are odd numbers but I've found it a noticeable difference without being overwhelming. Let's face it you're going to need friends in life. There are no skill or career increases of buffs/debuffs on this trait. Sorry but being a neurotic doesn't mean you're better and certain things and at least to the ones I know, me myself included. Plus I hate overpowered Mods that's boring. Just like real life, some days are better than others. 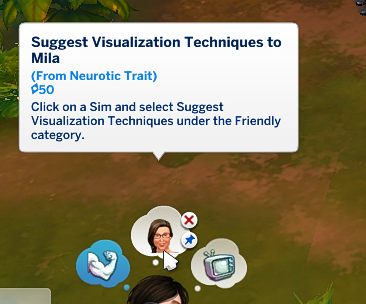 The longer you play your sim with the Neurotic Trait the better you'll learn how to trigger the counter buffs to help your sim cope. Moderator says I got to list all the fun stuff but I honestly think that takes the fun out of playing this trait. Though if you really want to know I'm going to list them. Meditate and Wellness skills...the list goes on. There are no extremely weird whims like randomly buy a desk or something like that. 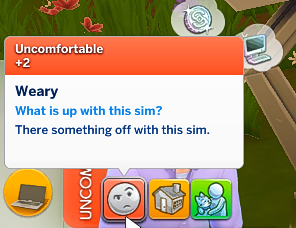 There are no added go to Vacation or Call in Sick Whims your sims Job well be stressful enough and it pops up enough times on it's own. Anyways that's it. This is my first upload here on MTS and Sims 4. Hope you enjoy it.